We have an entrepreneurial drive. A passion to keep the American Drive alive and thriving. Being that I do not have a relationship directly with our clients my experiences are limited to my internal perspective of Sterling. First, I wanted to know the difference between a Small Business owner and an Entrepreneur. According to an article on Entrepreneur.com in their National Small Business Week column. A small business owner, has a great idea, holds steady, thinks about the things they need to finish this week, and are sentimental with their businesses. An Entrepreneur, has big ideas, loves calculated risk, thinks ahead six months, and focuses on scaling. The difference in management is that the Entrepreneurs focus on setting up the business to be able to run without them, surrounding themselves with experts, they are the propellant to our economy. Herein lies the passion diving an Entrepreneurial business, always reaching further, exploring the unknown avenues, thinking outside the box, and effecting positive change. That passion has allowed us to become 1 of only 7 commercial lenders in the State of Michigan and continued exponential growth, never settling for the status quo. Prior to my interview at SCC I did my research. As a person who always worked in health care this was a welcome and complete career change. 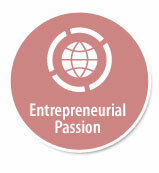 This passion emanates from our website and is a true transparent representation of what we are at SCC. I wasn’t sure that all the things that were professed on the website could be true. I was excited for this new opportunity and feel that it has sparked other aspects of my personality I wasn’t previously able to capitalize on, encouraging me to act autonomously and out of the box whenever possible. I can still be passionate about helping others while being able to feel like an important cog in the machine which is Sterling. As part of this Entrepreneurial dynamic that is Sterling, we have the ability for movement, inspiring ownership of your place at the table, encouraging advocacy, decision making, creativity, and successful execution, no matter your position. I personally believe that passion comes with the conviction of getting behind an underserved population. In our world, it is the small business owners that cannot catch a break with the big banks. If you know any small business owners as I do, trying to get a conventional small business loan is often a nightmare and a hopeless feeling. We provide that alternative, we champion their growth and success. In turn we pass on that belief that you can take ownership of your dreams however far you are willing to take them. Matt Crain with Harmony Transportation is an Entrepreneur! He is always looking for new opportunities and recognizes the value SCC has brought to his company. Matt has said banks would not take on the new company he started in June 2017. Without the solution-oriented agreement SCC structured, Harmony would not have grown to where it is today. Within his 1st year, with SCC as his partner, Matt was able to buy out his equity investor and has grown from $50K to $215K (NFE) today. Matt plans to grow to a point of independence within 3 years and as a new broker, is actively sharing his SCC experience with any new business owners he meets!! One example took place when a former BDO and I met with a prospective client that had multiple issues and billing methods did not meet the criteria for asset-based lending. Prior to the visit, I compiled a list of open items and questions with the hopes of closing onsite. The BDO made small talk while working in difficult questions, and I followed-up with rational for the questions and how this would help final closing. The visit was a success due to a team effort taking an interest in the business, listening to the future of the business, communicating how SCC can help the prospect, and forming a relationship while getting the closing items needed for underwriting. For many of you that do not know my story, Karen and I became Entrepreneurs in 1998 by purchasing our first rental home in Florida for $1,000 dollars down and later that same year purchasing our first business (Engraving and Trophy Store in Brighton) at the age of 27. The oldest of three kids, my mom worked multiple jobs as a single mother to ensure we had food on the table and a roof over our head. There was little to no extras as my friends were buying Atari games and Jordache jeans, I would be lucky to have Pong and some irregular jean knock off from a discount store. However, out in the country (Brighton, MI), my Uncle Lanny and my two cousins were rich!!!! My Uncle owned several small businesses including: Car Washes, Coney Islands, Kronk Gym Boxers, Massage Parlors, and Golf Courses. Every summer my mom would ship me out to live with Uncle Lanny for a few weeks. It was NOT a summer of leisure, but instead he put me to work at the car wash drying cars for 10 hours a day. I’d earn $5 dollars an hour plus tips which back in the day could be $20 to $30 dollars more per day. Uncle Lanny would host these HUGE parties with famous people like Kelly & Company, Donahue, and Price Fighters Tommy Hearns & Emanuel Stewart all at his house playing volleyball and celebrating a summer cook out! Coming from a low (no) income family I was amazed at the passion and the commitment my Uncle had for his businesses, for his customers and for his employees. I would just sit and dream about becoming a business owner. For years I spent well over $2,000 on every “How to start a...business” book, cassette tape (Look it up Milllennials - lol), or magazine! I read so many Inc. Magazines and Business books looking for something I could actually start with NO MONEY and find success. Everything I read continue to identify one very big problem...I had no money, no equity, and certainly no collateral!!!!!!!!!!! As I continued to move up the corporate ladder at Michigan National Bank & Greenfield Commercial Credit my primary job function was credit work including a field exam position. At both MNB and GCC we had clients that owed the Bank/Secured Lender between $1million to $25 million dollars and it was my job to inspect the collateral and make sure the Bank/Lender would get their money paid back. Although a very shy introvert who hated first impression meetings, I found myself in a profession that required I meet new Entrepreneurs every week. Looking back now this was an awful career choice based on my personality profile! Going into this uncomfortable place week after week challenged me in so many ways. It was my job as a field examiner to inspect the accounting books and records and meet face to face with Presidents, CEO, CFO, Accounting staff, and warehouse staff to evaluate and validate the Bank’s collateral. Many of these assignments had “uncomfortable” situations or were met with high resistance from the accounting staff or the ownership themselves. I learned one key things about Entrepreneurs and that was they “loved to tell their story”! This is why at Sterling I believe in The American Dream and care so much about Entrepreneurial Passion!!!! “Entrepreneurs fall down and pick themselves up until they get it right”!!! When you think about our client base remember they all have a “Their Story” on how they became business owners. If you are in a role at Sterling that has weekly communication with our Entrepreneurs, have you ever stopped to ask them to tell you “their story”? Slow down to listen to them and find empathy and compassion in what they tell you and what is important to them. It will make you a better person and a better employee if you can really dive deep into their world. Over the last 14 years at Sterling Commercial Credit I’ve seen our staff make great strides to really “listen” and “understand” the Entrepreneur and their journey as they operate in their business life cycle. Often times we come in and do our job and forget that each of our clients has a very “unique story” and we need to “slow down” to listen and understand their perspective.